Bangalore-based startup Guruji.com Software Pvt. Ltd, which began as a local search engine Guruji.com and then attempted a music search (which it had to shut down), has now forayed into mobile advertising. 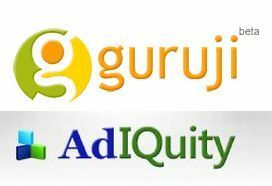 It claims its newly launched mobile ad platform Adiquity has served 1.5 billion impressions per month. Guruji was founded in 2006 and received $7 million from Sequoia Capital in 2006 followed by $8 million from Sandstone Capital in 2007. "The last few months have seen hundreds of publishers signing up with Adiquity and realizing increased monetary gains through the platform. The publisher base has shown phenomenal growth both in terms of volumes and diversity of mobile users. Our high performance mobile platform can scale upto 10X of the current volume with the existing infrastructure," said Anurag Dod - CEO, Guruji.com, in a statement. The Adiquity platform delivers advertising inventory targeting mobile users by geography, category, devices, carrier information, ad type and pricing etc on a real time basis. The platform reaches 200 countries in APAC, Europe, USA and Africa and is primarily targeting South Asia followed by Middle East and Europe. This launch comes at a time when various domestic ad networks are present and competing for their share of the yet to mature mobile advertising market. Recently Google India's MD Rajan Anandan predicted that online advertising in India would grow 50 percent this year. Google runs AdMob, the largest mobile advertising network. Another mobile ad network InMobi noted that the domestic mobile advertising market for the company grew by 27% to 1.5 billion impressions between October 2010 and January 2011. Vdopia's online and mobile video advertising network iVdopia is delivering profits of $500,000 every quarter. Other ad networks in India include Komli, Ozone Media Solutions Pvt Ltd, Networkplay, IndiAds and AdsForIndians.